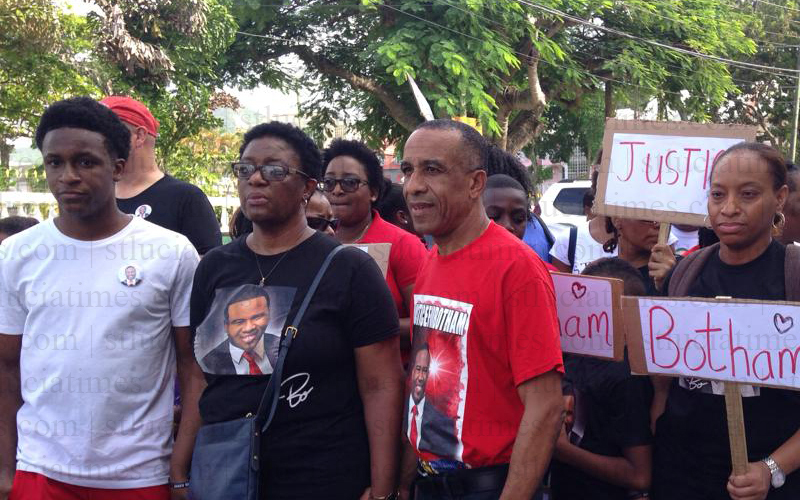 Family members of the late Botham Jean have said that they are pleased with the level of support they are getting from Saint Lucians. A thanksgiving birthday praise march in memory of the 26 year old who was shot dead in his apartment in Dallas on September 6, 2018, by a female police officer, took place Saturday afternoon. The activity was organised by the Justice for Botham Support Group and took the form of a march from the Central Library to Serenity Park, where a ceremony was held that included songs of praise and speeches. 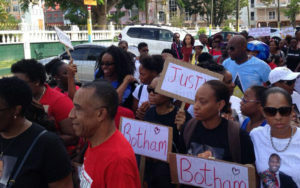 Botham’s father, Bertrum Jean, said he was very happy about the event and the fact that Saint Lucians are thinking about the Jean family at this difficult time. But at the same time he noted that it was a sad occasion. The father recalled that usually on Botham’s birthday, he would send his son a message wishing him happy birthday. “I know he would be spending the day eating a lot of food,” Bertrum Jean explained. “I don’t think we will be at peace internally, because the case goes on and we would have to be flying out to Dallas when we are needed up there,” the father explained. He said the family’s lawyers will keep them abreast. “I see a long drawn out situation and difficult moments. I would really have loved it to end now, but I know this is not the way things happen and I suppose we will be grieving for a very long time,” the father stated. He said he will try to safeguard happy memories of the life of his deceased son. Bertrum Jean said his deceased son was not perfect, but lived a God fearing life. Thank God for giving us the strength and courage to support the Jean family. You are in my prayers always. We will continue to stand with you and for Bo. Happy birthday in Heaven. Best birthday you’d ever had so far heaven and earth is celebrating you. Nobody is perfect Mr. Jean, but God blessed you with a wonderful son. You must be proud and even though you are sad. Jesus is the ressurection and the life. You will see your son again. As a born again believer Botham Shem Jean was perfect in the shed blood of .Jesus Christ on that ole rugged cross. We all strive for perfect every day. We thank Jesus Christ for the gift of repentance and mercy. We as believers do not look and dwell on a person’s failures. We look at what God put in a person heart to carry out God’s mission to serve his people while living here on earth .Mr. 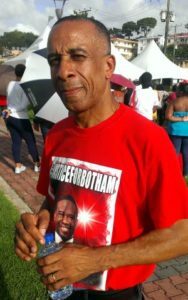 Botham Shem Jean has done more in his 26 years while living on this earth more than others. Every body has a different mission to carry out. One day Botham’s family will see him again. I am so sorry for everything that you have to go through at this time. Our Mighty God has a reason for every thing that has happened. It will serve God’s purpose even though we might not understand it now. Love ,strength ,prayers ,mercy , grace, protection and hope in Jesus Christ’s name to this beautiful family!!!!!!!!!!!!!!!!!!!!!!! !